Tigray is in the northern highlands of Ethiopia, and the climate is cool and pleasant. In the old days, most Tigrayans lived on their farms, grew crops and kept cows and sheep. There are many ancient and beautiful churches and monasteries in Tigray, carved out of rock, and decorated with colourful paintings. 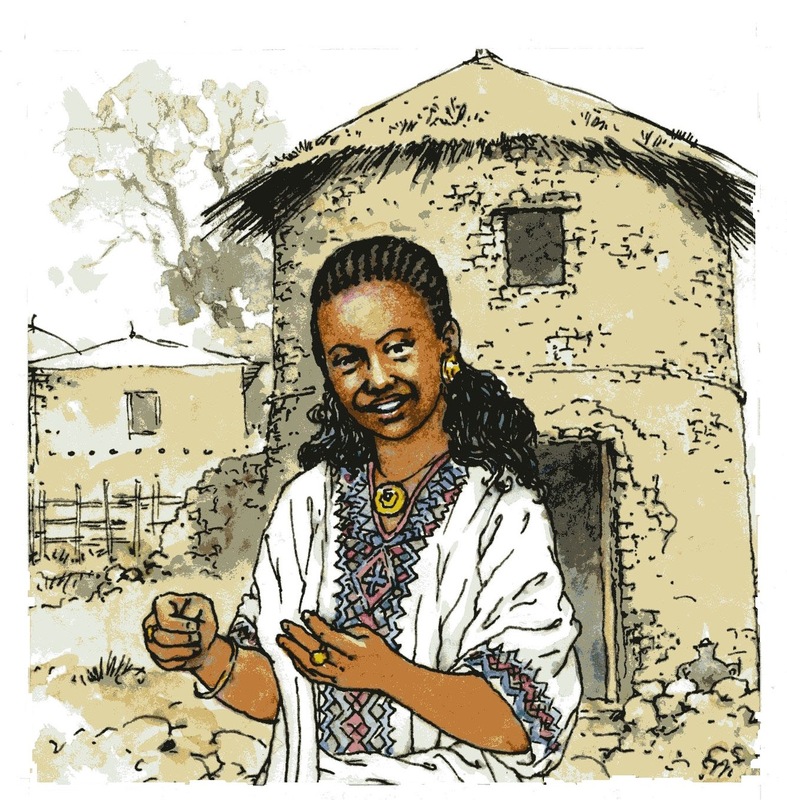 With grateful acknowledgement to Mesele Zeleke and Tsehaynesh Gebre Yohannes of the Tigray Cultural Bureau who collected these stories from schoolchildren in Tigray, and translated them into English.